Download the free DBMS mini projects with source code. The project is available in PHP and MySQL for students. The Student can modify the project with their own ideas to meet their requirements. 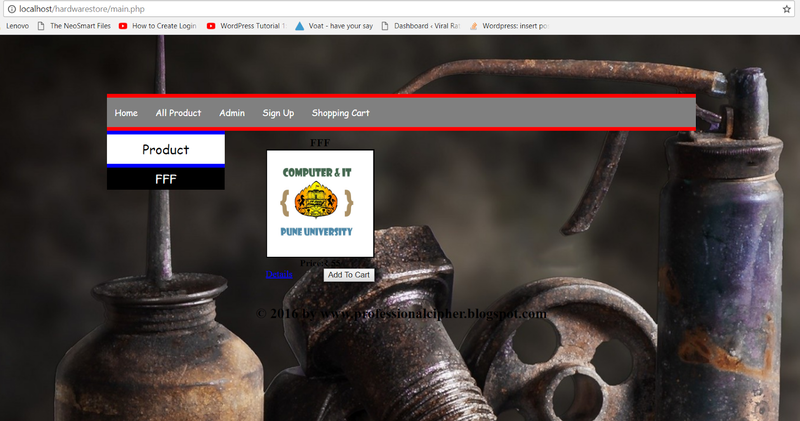 Download the project of DBMS for Hardware Shopping Management System using the back-end MySQL as database and front-end as PHP. XAMPP - Click here to download. In hardwarestore -> create table as users -> in users create column as uid as primary key, name, email, password.